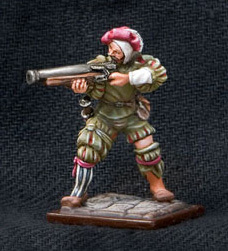 This historical miniature depicts a shooting landsknecht. 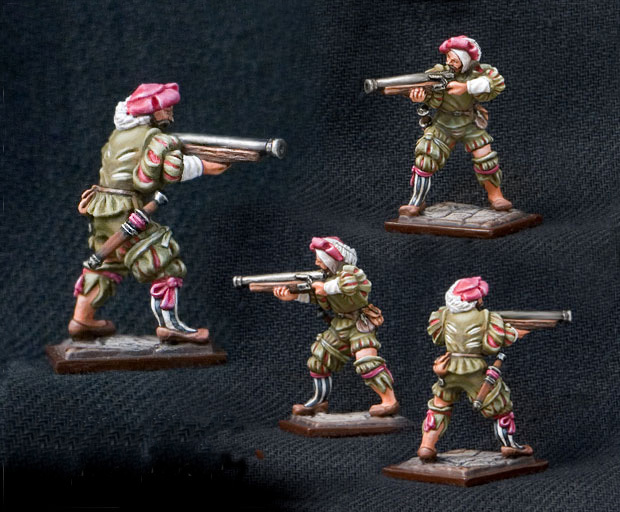 Tin figurine of 28 mm. Not painted.